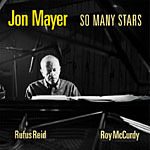 Although Jon Mayer got his start in New York in the “glory years” of jazz, he is only now just coming into his own as a jazz pianist of note. 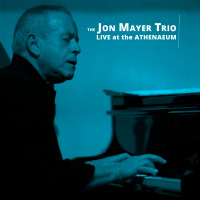 Born in 1938, Mayer was raised in Washington Heights, and after graduating from the High School of Music and Art in Manhattan in the mid- to late-‘50s and briefly attending the Manhattan School of Music, he immersed himself in the thriving NYC music scene, playing with the likes of Kenny Dorham, Tony Scott, Pete (LaRoca) Sims, and Ray Draper. He even recorded with two of the most celebrated of saxophonists: Jackie McLean ( Strange Blues, Prestige/OJC) and John Coltrane, on a session known as the legendary "I Talk With The Trees" date, finally issued in 1990 as part of Coltrane’s Like Sonny (Roulette). And in 1958, Mayer replaced Bill Evans in Tony Scott’s quartet, that included, in addition to LaRoca, bassist Jimmy Garrison. Mayer remained active in the ‘60s and ‘70s, playing in both New York and Europe with the Thad Jones-Mel Lewis Jazz Orchestra, Dionne Warwick, Sarah Vaughan and the Manhattan Transfer, and writing music recorded by Les McCann, Nancy Wilson and others. Then for all intents and purposes he disappeared from the jazz scene, not resurfacing until 1991 in Los Angeles. 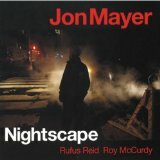 With a burst of energy and creativity, Mayer emerged as if from a cocoon, first with McCann’s Magic Band, and then as a leader, of his own trio and a quartet he co-leads with saxophonist Ernie Watts. 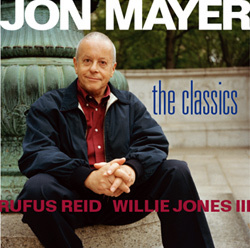 His debut CD, with Ron Carter and Billy Higgins, was 1996’s Round Up the Usual Suspects (Pullen Music), followed in rapid succession by Do It Like This (A-Records) with Watts, Bob Maize and Harold Mason; the live recording Rip Van Winkle (Fresh Sound); and, in 2002, Full Circle (Reservoir). The Classics is his second Reservoir recording. When I think of classics in this context, the first thing that comes to my mind is the Great American Songbook. But no; those are not The Classics this distinguished trio had in mind. These are bop and hard bop classics of the first order, composed by musicians from Miles Davis to Tadd Dameron. And yet, these are not tunes suffering from over-exposure, precipitating yawns at first mention. McLean’s quirky “Little Melonae,” Carter’s “Souvenir,” and Gordon Parks’ seldom heard, lovely ballad “Don’t Misunderstand” are particular cases in point. Although clearly influenced by Wynton Kelly, Red Garland, Bill Evans, and Horace Silver, Mayer has developed a full, rich sound of his own. Throughout the album, he articulates cleanly, improvises intuitively, and swings admirably. His phrases are fluid and his lines, logical but inventive. Reid is his solid and creative best, with memorable solos on “Little Melonae,” “Solid,” and “Very Early.” Jones, best known for his work with Roy Hargrove’s quintet, lays down a solid foundation. 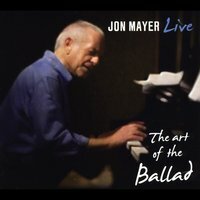 Jon Mayer is at the top of his game, and he’s only getting better. Visit Reservoir Music on the web.